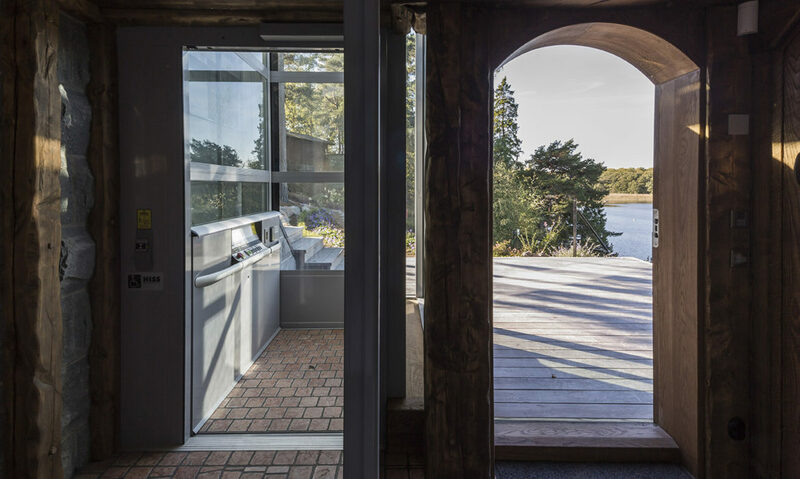 Two Cibes A5000 lifts are installed at this seaside residence in the beautiful archipelago of Stockholm, Sweden. 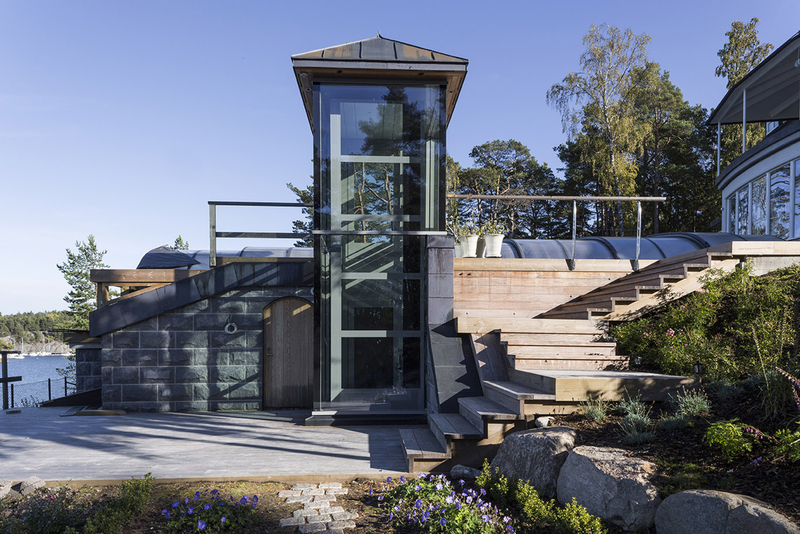 The first platform lifts is placed adjacent to the pool deck, linking the underground levels to the outdoors. 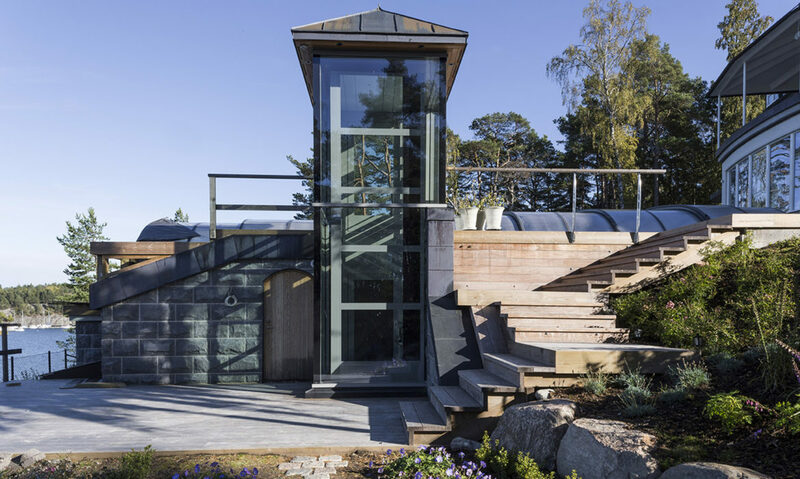 A customized glass and steel structure protects the lift from weather exposure. 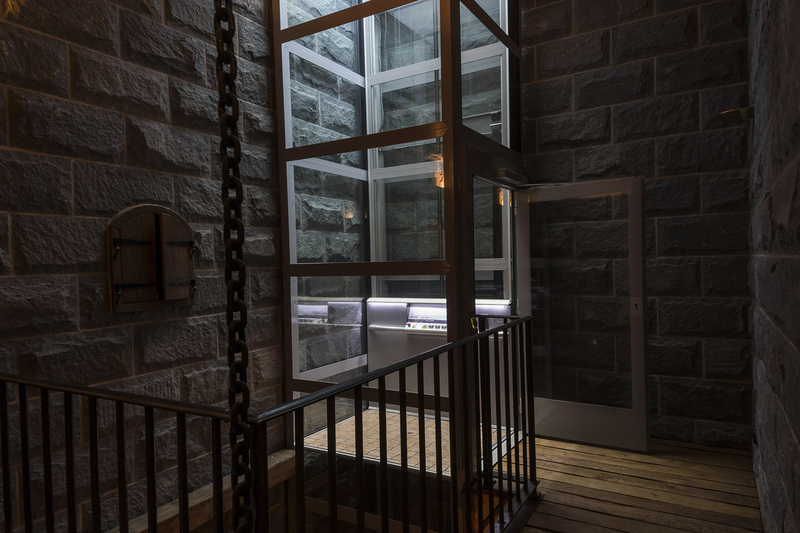 The glass shaft of the platform allows the natural light to reach the underground floors and high-lights the beauty of the stone walls. 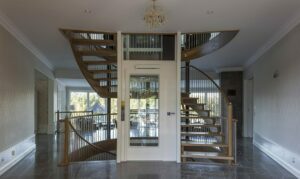 The lift floor is fitted with terracotta tiles matching the floors of the house. 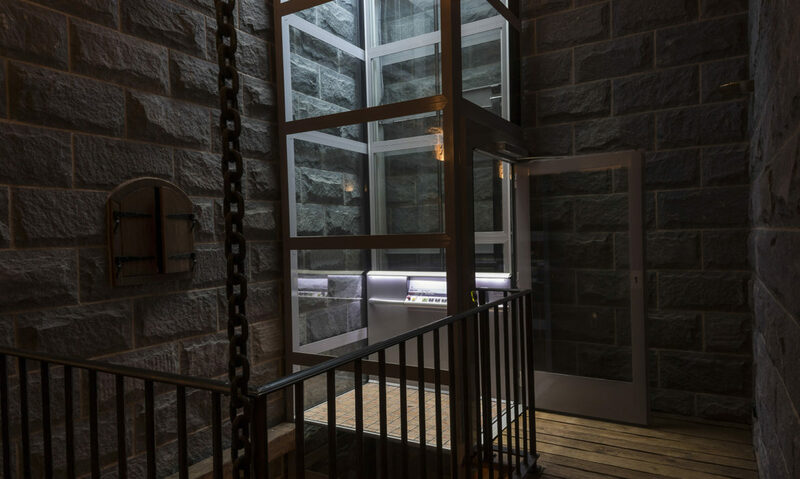 A great way to make the lift tie in with the building. 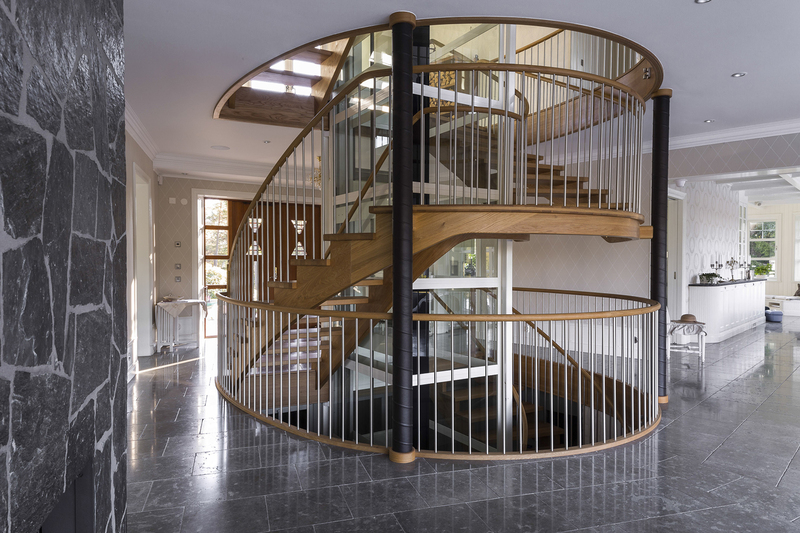 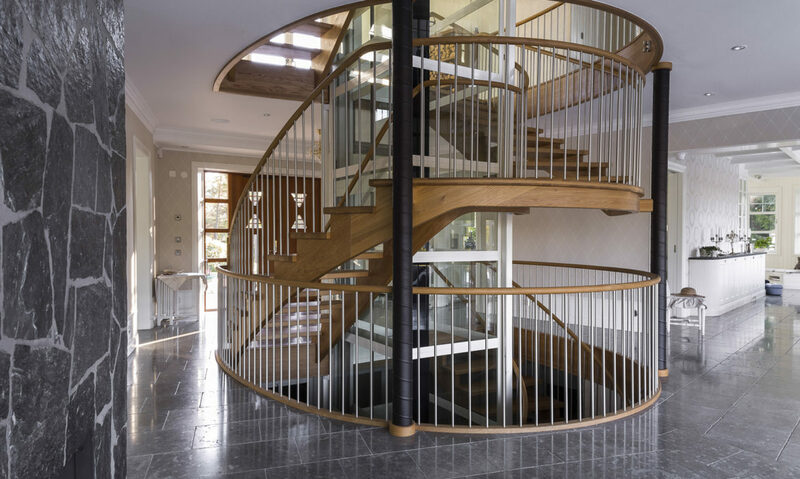 A second A5000 lift is placed at the centre of a spectacular spiral staircase which connects all levels of the main building. 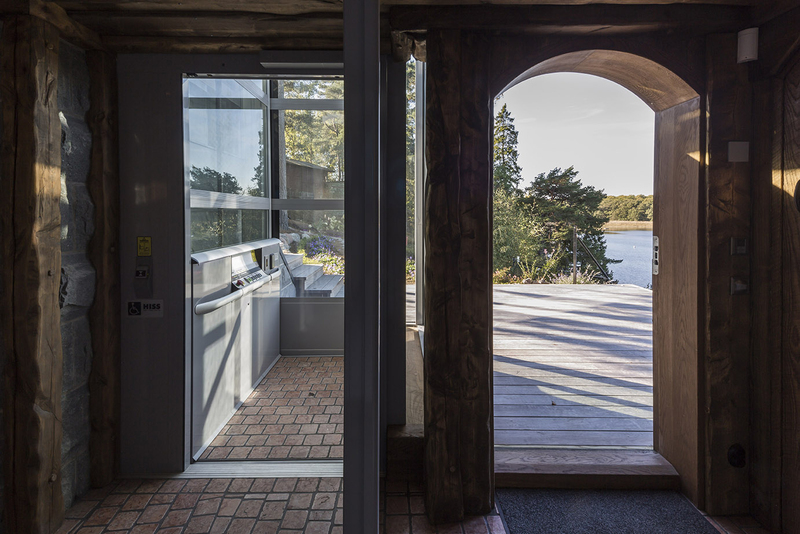 The lift welcomes you as soon as you come inside the main entrance hall. 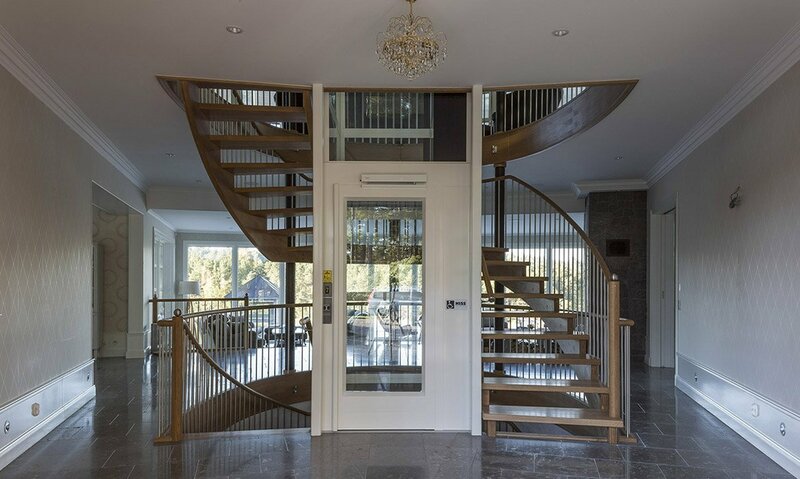 You decide if you want to take the stairs or the lift!